The UK government is behind on its target to build 300,000 new homes per year, which is what's needed to alleviate the current housing crisis. One of the potential solutions to this lag is the rise of modular – or factory-made – housing, which is cheaper to produce, quicker to install, and more energy efficient than traditionally-built housing. Ilke Homes is a British company that has just opened a home-manufacturing factory in Yorkshire. It is aiming to build 2,000 new homes per year over the next 24 months. 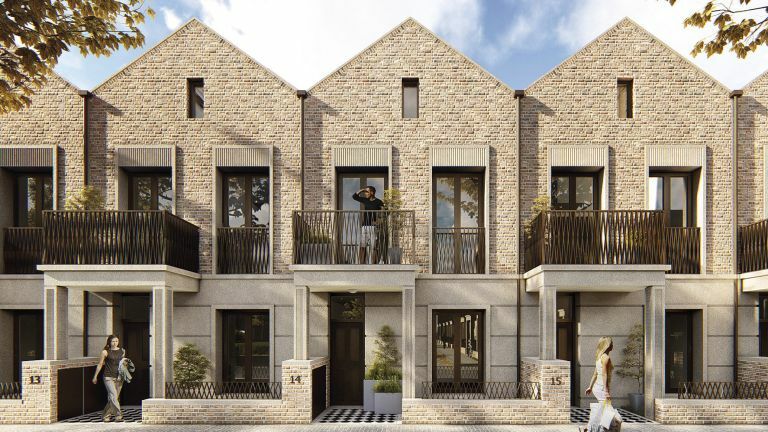 With the UK experiencing a shortage of skilled construction workers, the factory-based production of these modular homes is promising to fill that gap, as well as significantly shrinking the time frame required for building a new housing complex – on average, by six months. The homes are built from supply-chain building materials over a steel frame, and then clad in a range of finishing materials from brick slip to tile in order to create a finish that is sympathetic to existing housing in the area. The homes are low-rise and range from two- or three-storey terraced homes to semi-detached homes. They are energy efficient, too, providing superior insulation (20 per cent above current regulations for new builds), and can be manufactured to be carbon neutral. Once manufactured, the finished homes are transported to development sites, where they can be installed at a rate of eight homes a day, per crane. The company is working with housing associations and developers to make these new homes affordable and accessible to both buyers and renters. They have already been chosen by Newcastle City Council, Home England, and Efficiency East Midlands to deliver housing for their schemes. The homes are fully mortgageable and suitable for private and council rental arrangements. It really helps that the homes look good, too – their 'Hundred House' design (top and below) has recently won a prestigious Sunday Times home award. So, factory-made homes? We say yes, please, as long as they are as high-quality as these ones.